With the reversal of a ruling that kept corporate governance questions from being put to a company’s investors, the Securities and Exchange Commission has potentially cleared the way for such challenges to spread at annual shareholder meetings. While the S.E.C.’s turnabout related to a ruling it had provided to a single company — the grocery chain Whole Foods Market — it is likely to have broader effects, investors say, enlivening the entire 2015 proxy season. The regulatory about-face emerged late Friday in a statement from Mary Jo White, the chairwoman of the S.E.C. It involved a Dec. 1 decision by the S.E.C. staff that would have permitted Whole Foods, at its annual meeting in March, to exclude a shareholder proposal that would let large investors nominate directors. In her statement, Ms. White said that questions had arisen about “the proper scope and application” of the S.E.C. rule that its staff had relied on when making the Whole Foods decision. She also said she had directed the staff to review the rule and report its findings to the full commission. While its review is underway, the S.E.C. said it would make no rulings on shareholder proposals that are similar to those made by management. Companies choosing to exclude shareholder proposals without the regulator’s imprimatur may face investor lawsuits as a result. The initial Whole Foods ruling had raised investors’ hackles, and the S.E.C.’s reversal goes to the heart of a long-running battle between companies and their shareholders over governance issues. Investors, concerned about outsize executive pay or how directors are selected at companies whose shares they own, often submit proposals seeking to change those practices. Corporations typically try to keep such proposals off their proxy statements and often ask the S.E.C.’s division of corporation finance for permission to do so. Known as no-action letters, these S.E.C. rulings essentially shield companies from opposition by shareholders hoping to see their proposals put to a vote. S.E.C. rules governing whether a company may exclude shareholder proposals from its proxy are extensive and complex. But in recent years, some investors say, the commission has sided with corporations in many of these decisions. 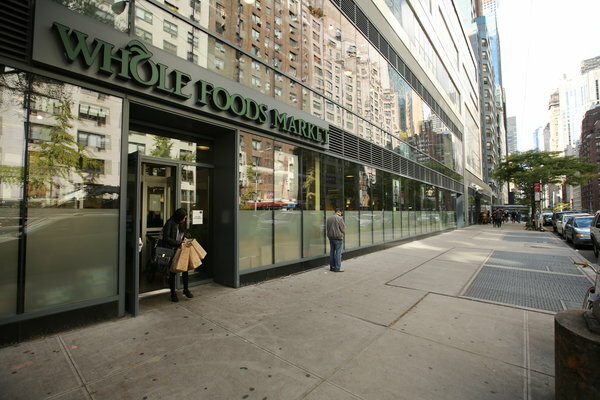 Investors found the S.E.C.’s ruling in the Whole Foods matter especially troubling. It allowed the grocery chain to exclude a shareholder proposal offered by James McRitchie, publisher of a corporate governance website. The proposal would have let investors holding 3 percent of the grocer’s shares for at least three years nominate directors at the company. Few companies allow investors to nominate corporate directors, a practice known as proxy access. This stand has helped to keep boardrooms insular and pro-management, investors say, resulting in a lack of accountability to shareholders. The S.E.C. agreed with Whole Foods, even though the company’s proposal differed significantly from Mr. McRitchie’s. For example, under Whole Foods’ director election proposal, an investor interested in nominating directors had to own a far larger stake and to have held it for much longer. To some investors, the S.E.C.’s ruling seemed an invitation to companies to thwart any shareholder proposal simply by putting forward their own watered-down versions. And after the S.E.C. disclosed its Whole Foods ruling, 18 companies jumped on the bandwagon, asking the regulator for permission to exclude similar shareholder proposals under the same rule. This month, institutional investors began asking the S.E.C. to revisit its Whole Foods decision. Among them was Scott M. Stringer, the New York City comptroller and overseer of five city pension funds with $160 billion in assets. Mr. Stringer recently put forward proposals at 75 companies that would allow shareholders to nominate directors. Mr. Stringer praised the S.E.C.’s decision to withdraw its Whole Foods ruling and review its rule making, saying that the moves had leveled the playing field for shareholders. “The S.E.C.’s review means that the nearly 100 companies that received proxy access proposals this year can no longer exploit an overly broad interpretation of the competing proposal rule to disenfranchise share owners,” he said in a statement on Monday. He also warned that company boards allowing these proposals to be excluded will face opposition to their director nominees from institutional investors, including the city’s pension funds. Mr. McRitchie, who had also asked the S.E.C. to reconsider its ruling, called the reversal a “huge victory” for shareholders. Still, it is not yet clear how companies like Whole Foods will respond to the S.E.C.’s reversal. A Whole Foods representative declined to comment about the company’s plans. The proxy excluding Mr. McRitchie’s proposal from the March shareholders meeting has already been filed with the S.E.C. An earlier version of this article misstated the status of a proxy filing by Whole Foods. It was submitted to the S.E.C. ; it has not been sent to shareholders as well. A version of this article appears in print on January 20, 2015, on page B3 of the New York edition with the headline: S.E.C. Reversal May Clear Way for Shareholders to Challenge Companies. Posted on January 20, 2015, in Postings. Bookmark the permalink. Leave a comment.